Email bookmyservice@georgetownchev.com, call 905-873-1069 or fill out the form below! 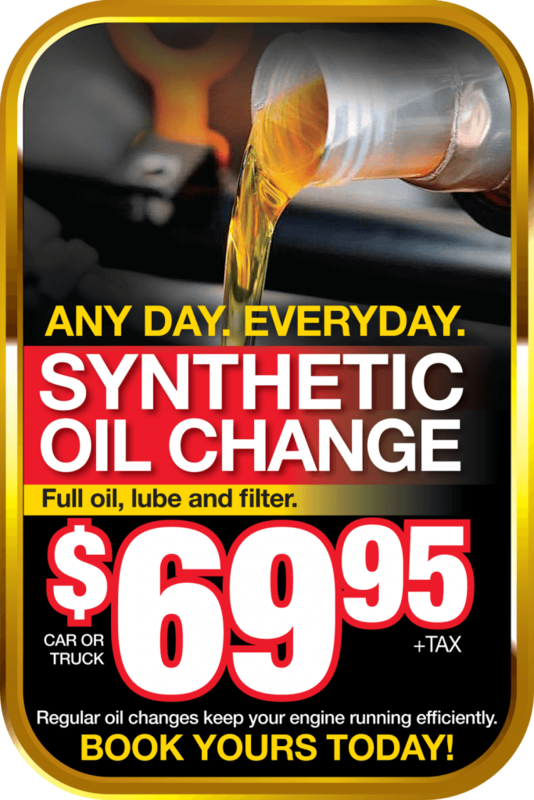 Take advantage of Georgetown's LOWEST PRICES on FULL SYNTHETIC Oil Changes! When it comes time to get an Oil Change on your vehicle, why wouldn't you trust the expert staff at Georgetown Chevrolet? Our dealership is synonymous with quality, excellent customer service and the best deals in town, whether you're purchasing a brand new vehicle or simply getting an oil change on your current vehicle! Your engine is the heart of your vehicle, and oil is its lifeblood. The Certified Service technicians at Georgetown Chevrolet are trained to understand how your vehicle uses oil and how it monitors oil life. Getting your oil changed by one of our Certified Service experts not only gives you great service, convenience, and a great price, you also receive the added value of knowing that nobody knows your vehicle better. Book your Oil Change with Georgetown Chevrolet Buick GMC today. It's a good idea to check your oil from time to time. Consult your Owner's Manual for the correct procedure for checking your oil level. From conventional oil to full synthetic, the Certified Service experts at Georgetown Chevrolet are here to offer you advice on a range of oil types, ranging from ACDelco Conventional Oil to ACDelco dexos1 Gen 2 Full Synthetic motor oil. Our experts always know the right grade of oil to use for your vehicle and our prices simply cannot be beat. GM vehicles - as well as other newer makes and models - come equipped with an engine Oil Life Monitoring System. This system is designed to interpret things like your vehicle's speed and engine temperature along with your own driving habits to continually monitor operating conditions in order to notify you when it's the best time for an oil change. Failing to properly maintain your engine with Oil Changes at appropriate intervals can lead to significant engine damage which would require costly repairs. Here are a few indicators to help you identify potential issues and prevent damage to your engine. When your Oil Life Monitoring System prompts you to CHANGE ENGINE OIL SOON, this indicates that service is requires as soon as possible. There may be cases where your system does not prompt service for over a year. Please note that your engine oil and filter must be changed at least once a year. If your vehicle does not have a an Oil Life Monitoring System, be sure to consultant the Maintenance Schedule in your Owner's Manual. Heavy smoke from your tailpipe, perhaps with a blue tinge, is a strong indicator that oil is being burned within your engine. This can be caused by a number of factors. If you are experiencing any unusual tailpipe emissions, see the Certified Service experts at Georgetown Chevrolet right away. Low engine oil pressure or low oil level can cause extreme and costly damage to your engine. If this message displays, safely bring your vehicle to a stop as soon as possible. Check the oil level immediately or contact Roadside Assistance to get you on your way or to bring your vehicle to in to Georgetown Chevrolet as soon as possible.